In each of the programs at Day Nursery, activities that meet each child’s emotional, social, cognitive and physical needs are provided. Developmentally appropriate and play-based learning experiences are emphasized. Daily learning experiences include a substantial amount of time outdoors. Activities conducted outdoors offer children exposure to new experiences and opportunities for exploration. Additionally, it promotes a healthy, active lifestyle. Since children vary greatly in their development, prior experiences, abilities and interests, the teachers use a variety of teaching strategies and make decisions about what strategy to use in a situation. Many approaches to Early Childhood Education (ECE) can be considered both developmentally appropriate and play-based. The teachers use their creativity and expertise to integrate new and exciting elements of these approaches into their daily activity planning. Using a variety of methods allows the teachers to better meet the needs of each individual child. Parents and guardians are always encouraged to talk with their child’s teachers about the daily activities and how they enhance their child’s development and learning. Day Nursery provides a rich learning environment with curricula that are developmentally appropriate to the specific ages in each classroom. A flexible daily routine allows children to advance at their own pace. The staff members strongly believe that learning happens through play. Learning and exploring are hands-on and are facilitated through interest areas. The Day Nursery program is designed to enhance children’s development in the following areas: creativity, self-expression, decision-making, problem solving, responsibility, independence, and reasoning. Openness to that which is different and the ability to work and play with others are encouraged. The staff members at Day Nursery believe that curriculum planning emerges from both an understanding of child development and observations of the children interacting with the materials, other children, and adults. Teachers respond to and support each child’s individual development with opportunities for both child-initiated and teacher-planned experiences. Teachers form attachment-based relationships with each child as the foundation for the child’s learning and development. There is a strong emphasis on social-emotional growth and development. Day Nursery teachers and staff have chosen Mother Goose Time an award-winning, research-supported curriculum to use in our classrooms used in combination with the Creative Curriculum philosophy. Through this curricular approach, each child will experience a well-rounded balance of learning activities and numerous opportunities to develop many important skills to be successful in school. Preparing a child for the world involves families, schools and the community. The curriculum supports the teaching staff by offering suggested content, ideas and activities that are adjusted to meet age and developmentally appropriate skills for each child, fun and challenging learning activities, information about what each child is learning, and a curriculum that is up-to-date on the latest in Early Childhood Education practices. The curriculum grows with the children. In addition to curriculum, Day Nursery follows the Pennsylvania Infant/Toddler and Pre Kindergarten Early Learning Standards. These standards are research-based according to age and development and form the foundation for curriculum, assessment, instruction and intervention within our program. Day Nursery’s Infant Program provides a warm, welcoming environment where your baby can grow from a bundle of joy to a bundle of curiosity. Your baby’s primary caregivers are nurturing child development professionals who are focused on creating experiences and opportunities that invite exploration and support the rapid and important development that is occurring in a child’s first year. 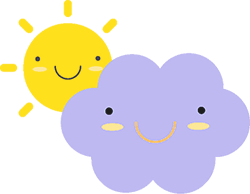 More than just daycare, at Day Nursery we are focused on keeping your baby happy, engaged, and secure. We personalize care for each infant based on his or her unique schedule, nutritional guidelines, and any other special attention he/she requires. Warm and nurturing interactions with caregivers, days spent in a home-like environment for learning, individualized attention and experiences, and meaningful partnerships with parents are the cornerstones of our curriculum for infants. 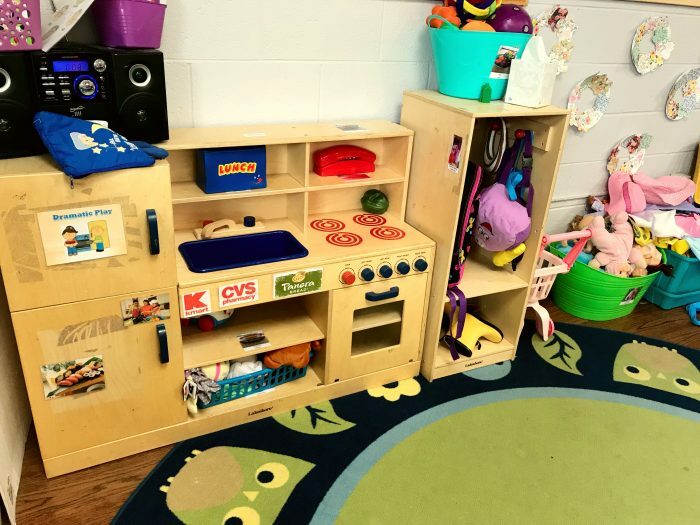 Day Nursery’s Toddler Program uses hands-on exploration and social interaction in safe, engaging surroundings to help your one to three-year-old learn about his or her expanding world. Through the guidance of our early childhood development teachers, toddlers enjoy learning experiences that promote their blossoming independence and social skills, and foster self-confidence. Toddlers are striving for autonomy and independence. As their motor skills improve, toddlers are on the move, walking, jumping and running. At Day Nursery, the teachers create environments that are safe for toddlers to explore and exert their new-found independence. Language skills are improving rapidly as toddlers expand their vocabulary and comprehension skills. They are also developing their personal care skills, such as drinking from a cup, using silverware and learning to dress themselves. Cognitively, toddlers actively use their imaginations to imitate others and engage in pretend play. Opportunities are created for both individual and small group play under the guidance of teachers. In the preschool classrooms, 3 to 5 year olds are building on the learning blocks already established, and getting ready to make that important transition into kindergarten. In preparation for formal schooling, opportunities are provided for preschoolers to interact and engage socially in a variety of ways. Preschoolers are often free to make their own independent learning choices such as literacy, math, science, music, art and computer skills. Preschoolers are also becoming more independent in their personal care routines, so they are given time to practice brushing teeth, washing their hands, using the toilet and getting dressed on their own. Field trips to local sites such as the Children’s Library, the Scranton Cultural Center and The University Rose Garden are incorporated into the curriculum weekly.